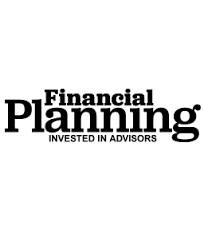 Financial Planning, Tobias Salinger, March 21, 2017 Are Advisers steering wealthy clients away from 529 plans? Are advisers steering wealthy clients away from 529 plans? High-net-worth and ultrahigh-net-worth advisers are overlooking a valuable savings tool for their clients, one investment research firm says. Only 16% of wealthy investors have opened 529 plans for their children’s college expenses, according to a study by investment research firm Spectrem Group. And the more these investors say they rely on their advisers, the less likely they are to take advantage of them, says the survey, which was conducted last fall among a group including roughly 500 UHNW investors, 1,500 HNW investors, and 1,000 investors with a net worth of at least $100,000, excluding the value of their primary homes. The findings show that advisers “do not make 529 plans a priority for investors with children,” according to the Spectrem report. Advisers who reviewed the survey split on whether they agreed with that conclusion. Only 26% percent of all investors in the survey said they learned about 529 plans from their advisers. More of the respondents heard about the plans from a website (29%) or a magazine article (27%). In all, about 21% of the UHNW investors surveyed reported that they currently have 529 plans, compared with 17% of HNW investors. (In the study, HNW investors were defined as those who had net worth between $1 million and $5 million.) Only 13% of the third group of surveyed investors had 529 plans. To determine how much clients rely on their advisers, the survey asked clients to identify themselves as one of the following: self-directed, event-driven, adviser-assisted and adviser-dependent. Among the HNW investors, only 12% of those who self-identified as dependent on planners said they used this tool, compared to 18% of those who said they were event-driven and 19% of those who said they were self-directed. In the UHNW investor group, just 19% of adviser-dependent clients have 529 plans. Some 25% of event-driven investors use them, and 20% of self-directed investors have 529s. The data means clients are leaving federal and, in most cases, state tax savings on the table, along with the peace of mind, according to Spectrem. The lack of advisory fees aren’t causing the low enrollment, according to Adam Leone, a principal at Modera Wealth Management in Westwood, New Jersey. His clients set up direct 529s with states offering them rather than brokerage plans with extra fees, he says. While correct on the lack of enthusiasm for 529s among HNW and UHNW clients, the Spectrem report ignores the fact that such wealthy people may use many types of accounts for their children and grandchildren’s educational expenses, Leone says. Another reason advisers may not be bringing up 529s with their clients is that they may have larger concerns than education expenses, McGrath of Riverpoint adds. “Most people are so far behind in their retirement from where they need to be, and that needs to be their main focus,” he says. And the variation among plans offered by states and brokerage firms may be a further distraction, according to Daniel Fan, director of wealth planning at First Foundation in Irvine, California. Both advisers and their clients may think 529s are just too complicated, Fan says. “Additionally, most investment advisers with HNW clientele don’t bother to advise their clients on the multitude of benefits, or clear up some of the misconceptions of 529 plans because they don’t think it’s worth it,” Fan says in an email. “The accounts usually start out small relative to a HNW clients’ other assets under management, so advisers focused mainly on investment management don’t see them as worth the time to complete paperwork and oversee investments."